An important, but sometimes overlooked, part of composition is negative space. Negative space is the space around your subject. 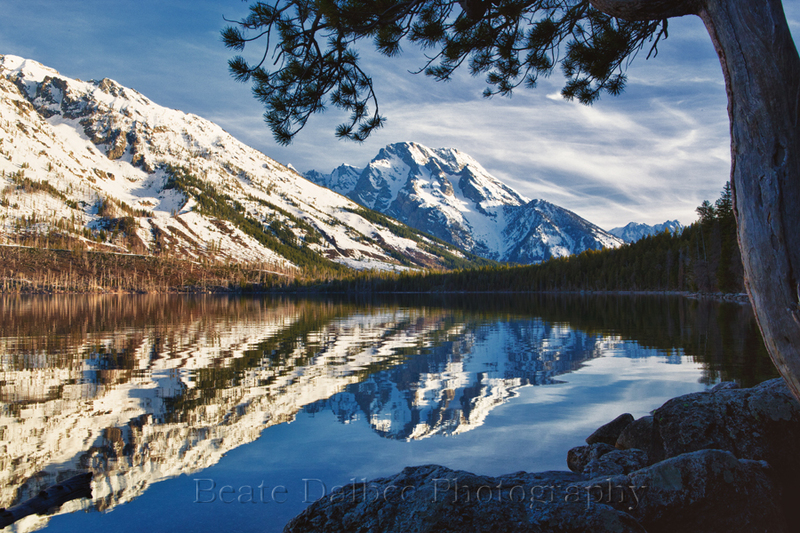 This was extremely important in this picture of Jenny lake in the Grand Tetons. When I walked along the shore this scene just popped into my eyes, but I had to be very careful when I set up my camera for this shot. If the tree would have ended up touching the mountain, or the reflection of the mountain the rocks below, this would have not been a strong image. So, if you are in such a situation, really check your viewfinder, or better yet use live view, to check your composition. Very nicely done, Beate. Beautiful image and great attention to detail. Thanks so much, Younes. Glad you like it. I’ll just copy what Younes said. Another beautiful image, Beate and made with your usual thoughtfulness and care. Well done!